At ABPC Law, we understand the difficulties of being injured in an accident which may result in orthopedic, brain and spinal injuries and psychological traumas that scar you for life. However, it is a fact that thousands of people get injured in Canada due to road accidents, leading to personal injuries. Some injuries are apparent immediately while other injuries or trauma surface a few days. You need medical assistance, proper diagnosis and treatment to get back to normal after the accident. The immense stress and financial instability due to loss of wages and mounting medical bills can be difficult for the families. That is where we step in. We can assist you through comprehensive legal counsel and help you know about the legal redressal and benefits available to personal injury victims. This includes income replacements, medical rehabilitation and caregiver services. The amount of compensation varies as it depends upon the severity of the injuries. Thus, if the injuries are termed as catastrophic, then the claim for compensation will be much higher. However, most of the insurance companies try to dent the claim or offer a much lower amount that you deserve. This is one of the reasons that hiring ABPC Law service becomes essential. We have a proven track record of claiming millions of dollars as compensation from insurance companies. Our personal injury lawyers are experienced, not just at trials, but at negotiating out-of-court settlements for claim that are ruled in your favor. This is to help you earn the maximum compensation to tide over the difficult times. New changes to Ontario Tort legislations have made hiring injury lawyers essential as navigating through the legal system is impossible on your own. At ABPC Law, it is our constant endeavor to assist personal injury victims in the cities of Milton, Lindsay and Kitchener. It is our duty and aim to ensure that each victim of personal injury gets the due compensation and that is why we ensure a 24/7 hotline. 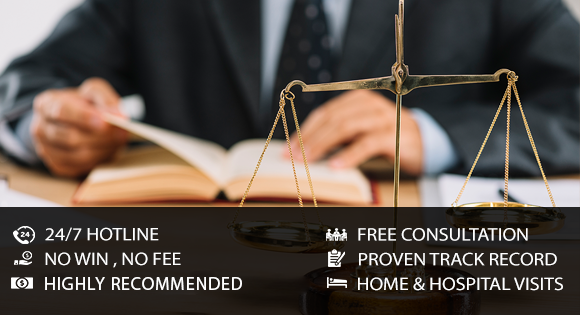 We respond within 24 hours and offer free consultation to discuss the merits of your case. Our injury lawyers understand that you have suffered injuries and might be recovering at the hospital or home. Thus, if required, we will visit you as convenient if you are unable to schedule the meeting at our law office. It is your right to understand all aspects of the Ontario Tort Law and we’ll help you walk through the entire process so that you are aware of all aspects of your case. Tort compensation is available to victims of accidents when they were not at fault but got injured. Thus, we can help you file the claim for damages. Most of the insurance companies try to lowball victims into accepting a much lower amount that what they are entitled to and that is why having a good personal injury lawyer from Milton, Kitchener or Lindsay in you corner can help you gain over them. Call us today to schedule an appointment and let us discuss your case.